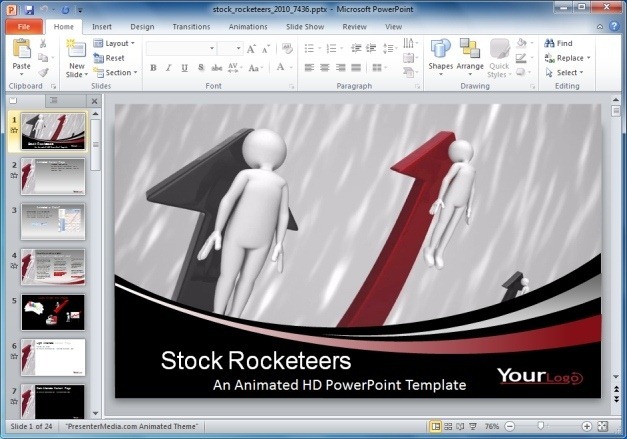 This animation can be used with custom logos, text and images to represent a financial forecast or to introduce your topic about stock bull markets, competition, success, teamwork, etc. 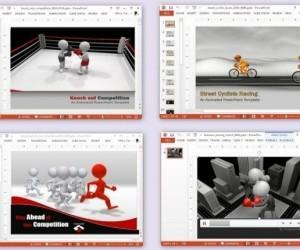 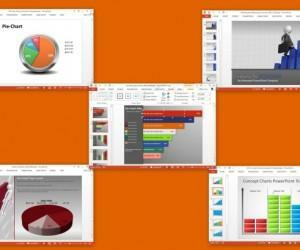 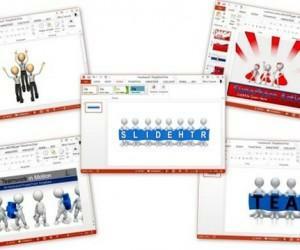 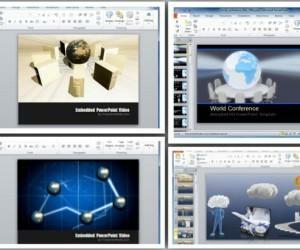 The following slides provide different types of alternative layouts which can be adjusted to match your needs. 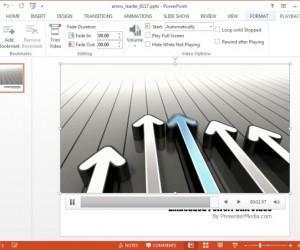 You can easily create any type of academic or professional presentation by editing the given sample slides or by using the elements within them to create new slides from scratch. 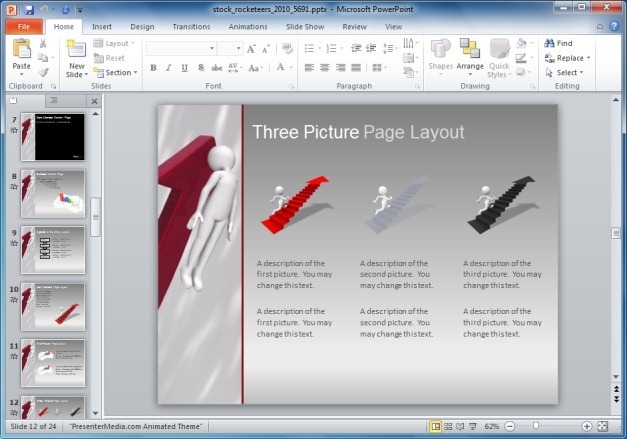 The alternative layouts are not just limited to different color tones but also offers single, two and three picture layouts, as well as summary and agenda layouts. 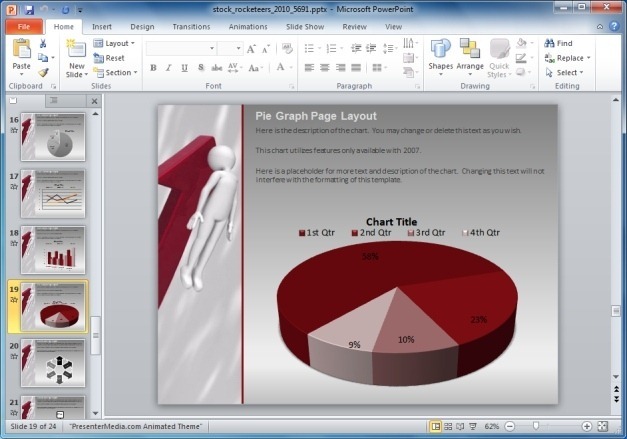 The given sample slides also provide editable SmartArt graphics, graphs, tables and charts, along with useful images and clipart, which can be easily used across existing or new slides. 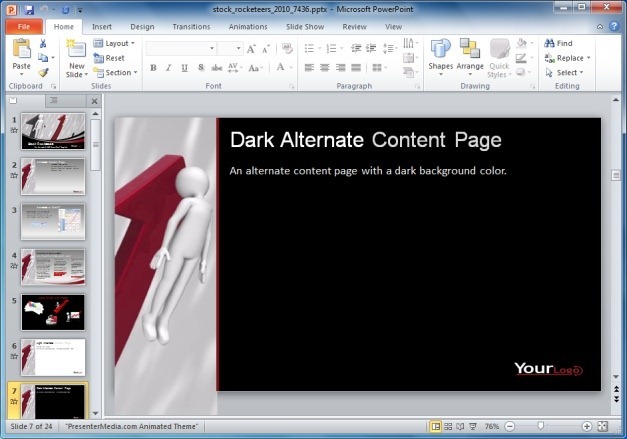 Among the two dozen slides in this template there is a plethora of different types of layouts and charts, with 2D and 3D slides that can be quite helpful in creating elaborate presentations with complex statistical data. 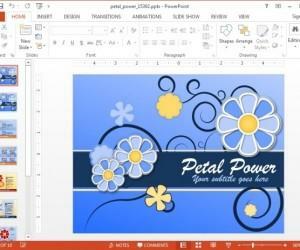 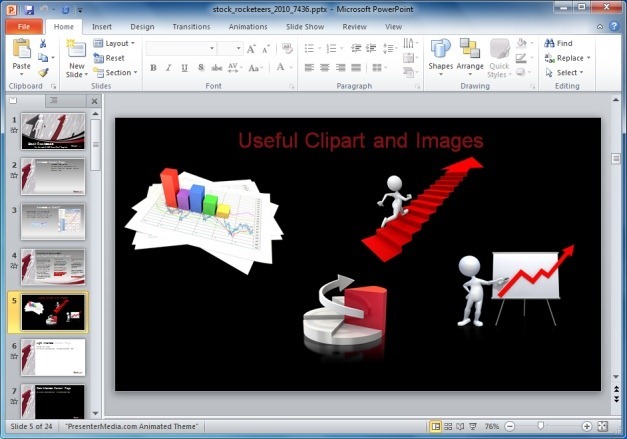 You can also change the color and overall look of the objects within sample slides by using PowerPoint Ribbon menu features like the Drawing Tools.